Whitetail Ridge Ski Area is located near Fort McCoy between Sparta and Tomah on Hwy 21 with the entrance approximately 1.6 miles west of the Fort McCoy Main gate. Watch for the Pine View Campground/Whitetail Ridge Ski Area signs and follow them to the ski hill. Downhill Skiing & Snowboarding – Whitetail Ridge challenges skiers of all ages, from the novice to the experienced on the slopes supported by the National Ski Patrol. Enjoy downhill slopes with a vertical drop of over 185 feet. A self loading T-bar serves the slopes where the longest run is 1,300 feet. Snowboarding your thing? 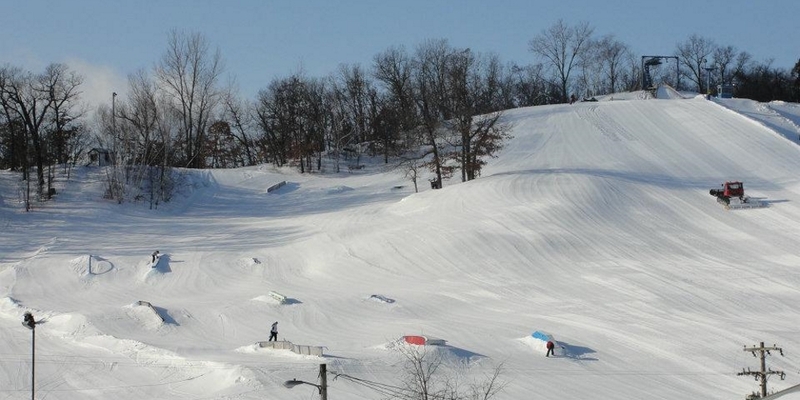 Come check out the terrain park! Grab a tube and head down one of the 5 RUNS! The 800′ long slope, it’s sure to be a thrill! The tubing area has it’s own tow rope, so the ride up is just as fun! Must be 38″ tall or a parent must sign a waiver. Plus there is a warming hut at the bottom of the hill – to keep you warm in between runs! Ski over 5 miles of scenic country on our groomed trails. The abundant wildlife often make appearances on the beautiful trails!